If you are in the market for a well-equipped, smaller SUV in Boulder or surrounding areas, you may be focused on finding a new vehicle that lives up to your expectations for style, power and more and that also has a reasonable price. The 2018 Jeep Cherokee is a popular option for many local drivers, and you may be comparing this stylish SUV against the 2018 KIA Sorento. With a quick glance, you may believe that these vehicles are mostly similar and that the only real differences are cosmetic. However, when you stop by Pollard Jeep serving Boulder Longmont Loveland, you will be able to more easily see the differences and select the ideal new SUV to take home. The base models for the Jeep Cherokee and the KIA Sorento differ substantially in terms of power and price. The Cherokee has a more affordable base model, and this base model has a less powerful engine than what you will find in the Sorento. Specifically, the base model for the Cherokee comes with a 2.4-liter, four-cylinder engine with four-wheel drive and a nine-speed automatic transmission. It provides 184 horsepower. 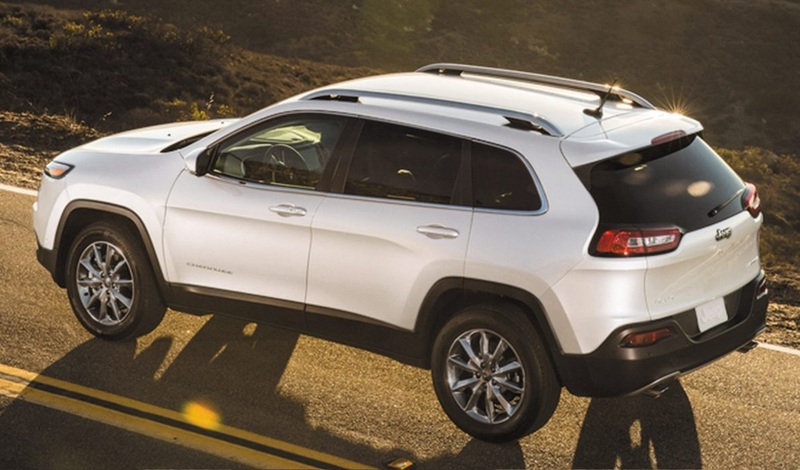 If you bump up the trim level to the Overland V6 engine option, the Cherokee gives you 271 horsepower. On the other hand, the base trim level for the Sorento comes with a 2.0-liter Turbo, four-cylinder engine that offers 240 horsepower. Remember that this base trim level is more expensive than the base Cherokee. The Sorento’s most advanced powertrain option does offer slightly more power than the Cherokee’s most advanced powertrain, but the price tag of the Sorento’s highest trim level is substantially higher. Essentially, you will find that those who are looking for a more affordable option that has exceptional power and performance capabilities may be more inclined to lean toward the Cherokee. Many drivers in Boulder and surrounding areas are searching for a powerful and rugged vehicle that also is loaded with class and style. When you take a closer look at the 2018 Jeep Cherokee, you will find that it has an angled, vertical grille that has the signature Jeep look. The front is also defined by elongated, angled headlights, a contoured hood that slopes aggressively into the windshield and hood and contouring along the side panels. Tinted windows, body-colored side mirrors and body-colored roof rails are also standard for the Cherokee. The 2018 KIA Sorento has a larger and less curved grille along with larger headlights. The hood is shorter in length, and it flows into a more vertical windshield. This creates a boxier look with the Sorento that overall appears to be less modernized than the Cherokee. In addition, the Sorento has black cross rails along with black and body-colored side mirrors. Both of these SUVs are available in numerous attractive exterior color options. As you compare the features available in the base model for the Cherokee and the Sorento, you may discover that there are only a few minor differences. For example, both of these SUVs are equipped with cruise control, power windows, power door locks, a communications system, a tachometer, a tilting steering wheel, remote keyless entry, power adjustments for the driver’s seat, a 12-volt outlet, leather seats, front climate control and more. The Cherokee specifically comes with additional standard features that are either optional or not available in the Sorento. These include power steering, a full-size conventional-use spare tire, front and rear climate control and others. The Sorento, on the other hand, comes with dual front power seats in the base model, and this is only an option available in the base model of the Cherokee. 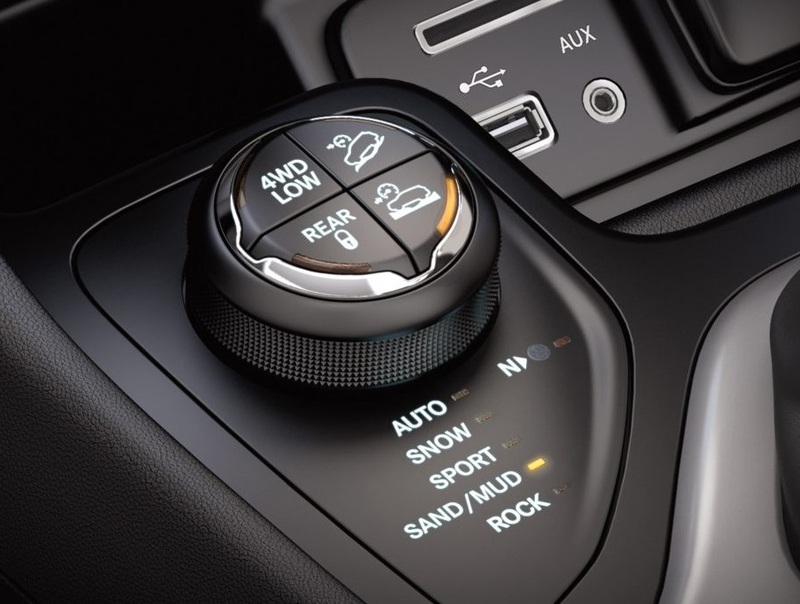 A great way to learn more about the standard and optional features in each of the trim levels available for 2018 is to visit Pollard Jeep serving Boulder Longmont Loveland soon. Regardless of whether you are leaning toward buying the KIA Sorento for 2018 or the Jeep Cherokee, it makes sense to take a closer look at safety features and ratings before you make a final buying decision. Many drivers in Boulder and surrounding areas who are interested in buying a new SUV soon have plans to use the vehicle as a commuter SUV during the week and for transportation for all of their adventures during their free time. Safety is understandably a top concern. A great thing about both the 2018 Jeep Cherokee and the 2018 KIA Sorento is that they both have exceptional safety scores. Specifically, they both are rated with either a four or a five-star score for all safety tests that they reviewed for. The KIA Sorento for 2018 comes with innovative safety features like the UVO communications system, autonomous emergency braking and a lane departure warning feature. The Cherokee also has a communications system, and it comes with trailer sway control, a rearview camera, a rear cross-traffic alert feature and more. Remember that both of these SUVs are equipped with typical safety features as well, such as airbags, a three-point safety harness for the rear passengers, adjustable headrests, engine immobilization, traction and stability controls and more. The decision about which SUV to purchase soon should not be taken lightly. Your new vehicle will affect your daily comfort and convenience on the road, your safety, your budget and more. While both of these vehicles are well-appointed and powerful, you may find that the overall value lies with the Cherokee. With several trim levels and engine configurations available to choose from, it makes sense to head to Pollard Jeep serving Boulder Longmont Loveland to explore the trim options in person. You can stop by at your convenience during business hours, or you can call ahead to request an appointment with the sales team.